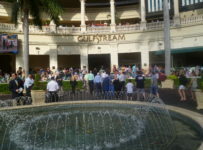 Here’s a concise recap of the stories and handicapping we posted on our blog at Saturday’s Florida Cup races at Tampa Bay Downs. 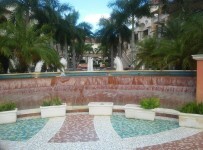 See http://insidefloridahorseracing.blogspot.com for the individual posts. 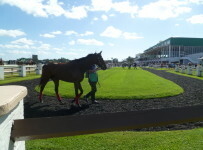 The first of today’s six stakes at Tampa Bay Downs is the third race–the $75,000 Sophomore Turf at 1 1/16 miles. Scheduled post is 1:38 p.m. 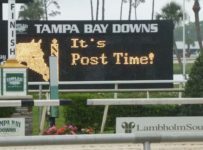 The turf course is listed as firm, and it should be noted that on the last two race days (Wednesday and yesterday) it was far more favorable to speed than usual. There is a field of six males plus the filly Family Meeting (program number 4). Family Meeting (trainer Tom Proctor, jockey Brian Pedroza) finished third in the recent 1 1/16 mile Florida Oaks at Tampa Bay and last December won the one mile Jimmy Durante at Del Mar. Both were Grade 3 on turf for fillies. She will draw betting attention, but probably is not fast enough to beat the colts Life Imitates Art (1) and Second Mate (5). 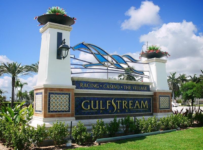 Second Mate, trained by Jane Cibelli, broke his maiden on March 11 at Gulfstream with an exceptional time of 1:39.41 for 1 1/16 miles on turf. 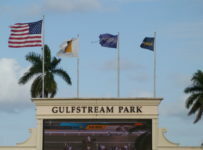 It was on the outer part of the Gulfstream course that was playing very fast. But we were impressed by the replay and the time stands out. Paco Lopez, who rode Second Mate in his win, is at Keeneland today. Cibelli switches to Elvis Trujillo–comparable to Lopez. Life Imitates Art (Chad Brown, Manoel Cruz) on the 7 1/2 furlong Dania Beach (Grade 3) at Gulfstream and then came in fifth after a rough trip in the one-mile Kitten’s Joy. It was his only finish worse than second in six starts. World Leader, the 4-5 favorite, rallied along the rail and held off a re-bid by Light Blue to win by a head in the opener at Tampa Bay Downs. World Leader won the opener at Tampa Bay in 1:24.94 in the seven-furlong dirt race for maiden claimers. Mike Allen rode for trainer Reid Nagle. 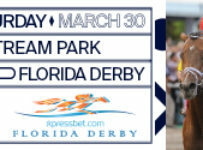 The third race will be the first of six stakes on the Florida Cup card. It is the Sophomore Turf at 1 1/16 miles. Please see our previous post for a pre-race analysis. 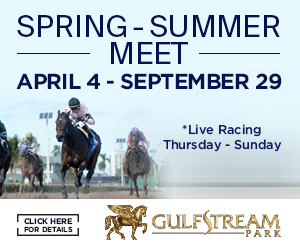 Today’s fifth race at Tampa Bay is the $75,000 Sprint at seven furlongs on dirt for 4-year-olds and up. Our analysis is in a story on our Website. Life Imitates Art took the lead entering the stretch and won the $75,000 Sophomore Turf at Tampa Bay Downs. Life Imitates Art, the 8-5 favorite, won in 1:42.41 on the course listed as firm. Manoel Cruz rode for trainer Chad Brown. Our Way finished second, followed by Second Mate. 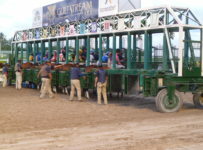 Here’s a preview of today’s sixth race at Tampa Bay. 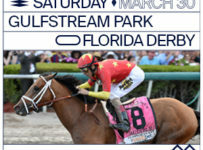 It is the $75,000 Turf Classic at 1 1/8 miles for Florida-breds 4-YO and up. 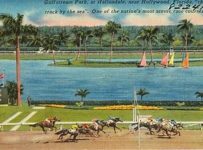 Go Around, trained by Bill Mott, is graded stakes placed at this distance and coming off a fast gate to wire win at 1 1/16 at Gulfstream. Antonio Gallardo will ride. Fundamental, trained by Chad Brown, also is graded stakes placed at this distance. Old Time Hockey, trained by Tom Proctor, won this race last year under Ronald Allen Jr., who has the return mount. The consistent Manchurian High also must be considered. Allie’s Event could hit the board at a price. He has won three in a row on the Tampa turf, but is stepping up in class. 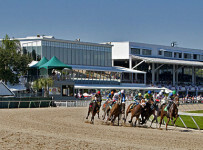 Today’s seventh through ninth races at Tampa Bay Downs are all $75,000 stakes for Florida-breds. We also think that Extravagant Kid (1), trained by Bill Kaplan, has a good shot to hit the board. 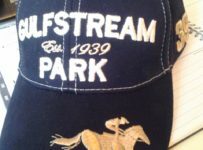 We will be among the many rooting for him because he is the last horse saddled by Kaplan, who is retiring after today. Daring Kathy (7) and Royal Jewelry (10) should be considered for saver exactas (underneath) and for trifectas and superfectas. Catalina Red fought in the stretch to win the 6 furlong Hilton Garden Inn / Hampton Inn Sprint Stakes. Fast Flying Rumor placed, and Alfredo Romana got the third spot. Fernando De La Cruz had the mount under Catalina Red. Go Around, with Antonio Gallardo aboard, nipped Fundamental in the deep stretch to win the Tampa Turf Classic. Cement Clement came in third. Our selections were to box the 4/6/8 in a Exacta. April Gaze Won the 7th Race today at Tampa Bay, but it was not a slam dunk. The Stonehenge Farms South Sophomore Fillies $75,000 stakes was run for 3 YO Florida Bred Fillies. She fought hard in the final furlong with Elvis Trujillo, and barely overtook Valuable Charmer at the finish line in 1:24.2 Hey Girl Hey garnered the show position. Our predicted order of finish (see prior posts today) was 6-4-3. 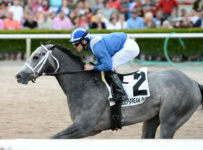 Imperial Hint won the 7 furlong Ocala Breeders’ Sales Sophomore Stakes race under the mount of Antonio Gallardo. Epic Journey placed in the field of eight. Extravagant Kid, the Bill Kaplan trained horse, was in the money with the show position.This was Bill’s last race as a trainer, so it was nice to see that he added to his WPS totals. Our odds-making had the 7-3-4 finish here. He ended with 615 – 673 – 682 in W-P-S over 4,871 career starts. Speed Seeker, at 25:1, won the last stakes race today at Tampa Bay. Erick Rodriguez had the mount in the 1-1/16 mile Pleasant Acres Stallions Distaff Turf, a $75,000 purse for fillies and mares, 3 YO and upward. This was the second win in 11 starts for Speed Seeker under the trainer Joan Scott. Race favorite, Josdesanimaux, at 1.2:1, got the second place finish, followed by Promotional, at 9.6:1. Daring Kathy and Promotional settled for a dead heat for third position. 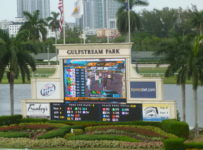 Our selections did not fire as we had 1-8-3 as the order of finish.